Just a simple ESP update that removes the old outfit and horns. It also adds the Armor and armor addon forms so Bowsette will have GRIM_Bowsette LE Mod as her outfit. 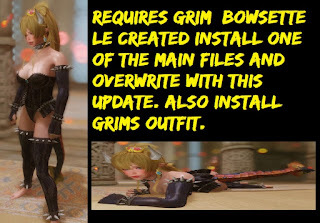 Install one of Bowsette Follower main files then overwrite with this update esp plugin. 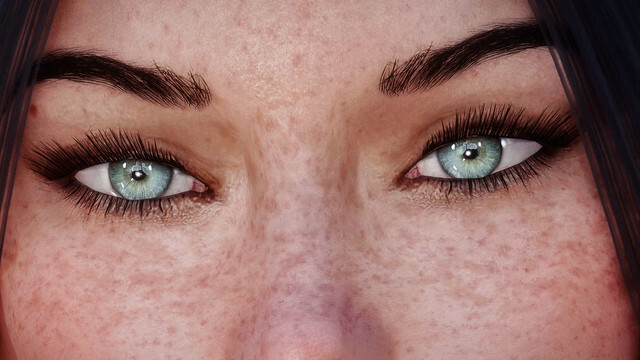 Diana the Pureblood Vampire: Black Magic Woman Edition Should I publish her? The first thing you'll notice that is unique with the Mafkit is that it is most likely the only tutorial that begins follower creation by choosing a class. To be honest I don't think any other follower tutorials even mention classes and combat styles. The Mafkit begins by choosing a class tailored suited to your needs. No worries this can be altered and farther customized later. Each combat class is slightly different depending on race. Once you have chosen a class you will go to a new page where you can see more information about that class and choose a race to go with that class as well as the download link for the mafkit. Class - The followers combat class, this can be completely customized to your preference. Difficulty - How hard it is to mod the class. All classes are marked as easy for stage one. The difficulty level is met for Stage 2 and above..